These cookies are so pretty! The almond flour is so delicious! 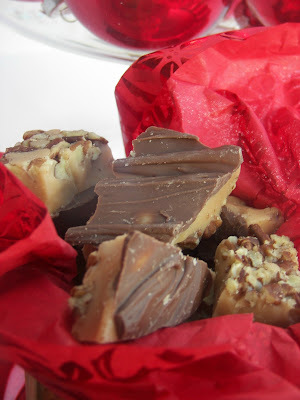 I have wanted to make them for a long time but was always afraid of skinning the almonds...it wasn't so bad! I suppose you could use almond flour. I surprised my kids with these for Valentine's Day last year. This recipe is from Dorie Greenspan. 1 1/2 Cups ground almonds or hazelnuts (I used almonds). If you're starting from raw hazelnuts toast them in a 350 degree oven for 10 minutes or until golden brown. Then transfer them to a kitchen towel and use the towel to rub off as much of the skin as possible. Transfer the skinned hazelnuts to a bowl and shake out the towel outside so the skins don't fly everywhere. If you're starting with raw almonds, blanch them. Squeeze the nuts out of the skin and toast them in a 350 degree oven until they are dry and lightly golden but not browned, about 5 to 10 minutes. Cool the nuts completely before grinding them. Pulse them in a food processor until they are finely ground. Whisk the ground nuts, flour, cinnamon, and salt together in a mixing bowl, set aside. Divide the dough in half, shape each piece into a disc, and wrap in plastic wrap and chill, 2 hours in the fridge or 45 minutes in the freezer (the dough can be stored in the fridge for 3 days or 2 months in the freezer). Preheat the oven to 375 degrees and line two cookie sheets with parchment paper or a silicon baking mat. Keep one disc of dough in the fridge and roll out the other disc. Lightly flour your work surface and roll out the dough until it is about 1/4 inch thick. Cut out as many cookies as the dough can fit. Gather up the scraps with the second disc of dough and continue to roll out the dough and cut out the cookies. Cut out the centers of half the cookies. Heat up some jam in the microwave or on the stove top until it it warm. spread about a half a teaspoon to a teaspoon of jam on the cookie and place a cookie with a cut out center on top. Lightly dust with powdered sugar before serving. They really do look so pretty - and I'm sure they taste delicious too! Mmm - I have a jar of special preserves from the UK - these cookies would be a perfect use for it. These cookies turned out lovely. It looks like it was worth the steps it took for the almonds. I love the look of these and always think "I'll make them next Valentines Day" :>....Looks great! ooooooooo so gorgeous !!!! I have always wanted to try these !! Those are beautiful! I've never tried to make these cookies because I'm afraid I'll mess them up. GREAT!!! first post. 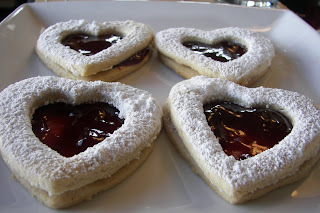 I love your Linzer cookies, they look AWESOME!!! 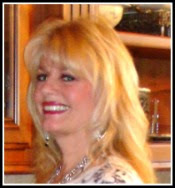 I have become a follower of you blog, come by and visit maybe you can do the same. I'm having a giveaway also, so enter to win a waffle waker. These Cookies look very delicious. I think I will make some tonight. You must be a very talented person.